The honest men and bonnie lasses of Ayr Writers Club got a rare treat last night when the renowned actor and raconteur John Cairney came to speak to us on the eve of his 87th birthday. John, who has had an acting career spanning 64 years, has lost none of his legendary charisma. His stage presence was still very much evident as he entertained us with stories of his long and fascinating career. John is best known as the “face” of Robert Burns, a title which was his for 37 years, after his debut appearance as the bard in a Jimmy Logan sketch in 1959. John continued to appear on TV and to seduce international audiences as Robert Burns as he toured the world over the next four decades writing and performing in various productions chronicling the life of Burns. John has also adopted the personas of William McGonagall and Robert Louis Stevenson and has played in Shakespeare’s Hamlet, and starred in Rob Roy, Cleopatra and Jason and the Argonauts. John, who hails from the East End of Glasgow, began by telling us of how he developed a love of reading and writing as a child in wartime Glasgow. Such was his love of books, in fact, that he broke into a library when he was 11 years old! John recalled memories of childhood summer holidays in Ayr – of guesthouses, landladies and the smell of cooking sausages (which he didn’t like) and how him and his pal were nearly upended by a submarine when they hired a rowing boat off Ayr Beach! John told us his mum had aspirations for him to become a Jesuit priest. He made us laugh when he told us how he adapted his accent and diction to suit that of a classical actor, when he discovered the personal and financial benefits of this career as compared to the more traditional careers of East End men, much to his father’s disdain. John told us he made three recordings at Abbey Road Studio and sent a record to his friend James Cagney which James received the day before he died. John’s artistic talent extends to painting and he has written many books on Robert Burns, William McGonagall, football, as well as autobiographical works on life on the stage and spanning the different stages of his life. John’s adventures over the years have included being shot at (on screen) and delivering his second child. John gave us some fresh insights into the complex personality of Robert Burns. He told us of Burns love and admiration for his father and gave some interesting insights into how Burns might have resented his mother, giving the example of Agnes’ apparent lack of compassion towards her son on the night his father died. 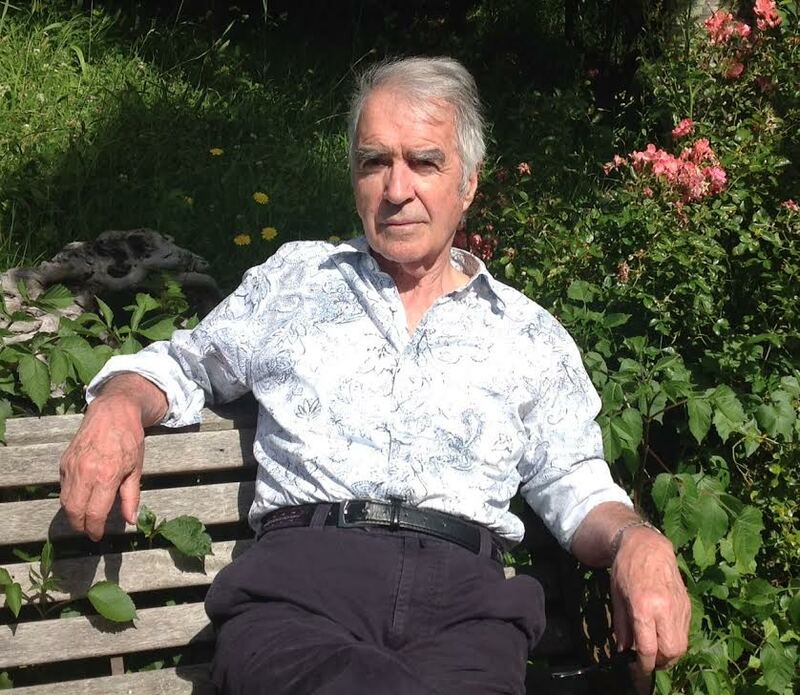 It was an honour to hear John Cairney speak with compassion not only about Robert Burns’s life and poetry but of his own philosophy towards life. John told us how only last week he visited a men’s prison to speak to the men incarcerated there. He spoke about the humanity of these men and of how, as a younger man, he too, could have easily made similar choices. We left feeling energised by his enthusiasm and vitality. At 87, John Cairney’s creative spark is definitely still burning ! It was truly a great evening with John Cairney. A lovely man who inspired us all I think with his philosophy on life and living. I came away refreshed and very happy. One of the best ‘professional’ speakers we have had.